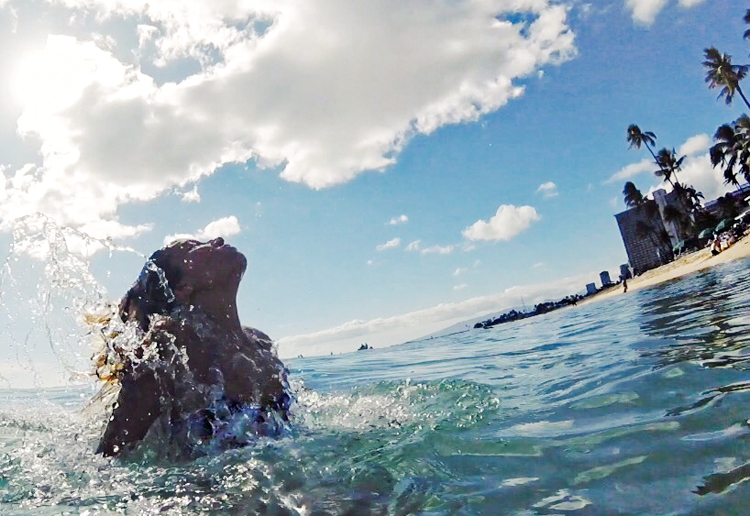 The must-see shores of Hawaii's most populated isle. Above: L*Space Liberty Palm bikini and Moon Chaser cover-up, Vince Camuto braided hat, Sunday Somewhere sunnies, Abercrombie sandals. Shot by Isaac Lacey. It's been literally decades since I last visited Hawaii. 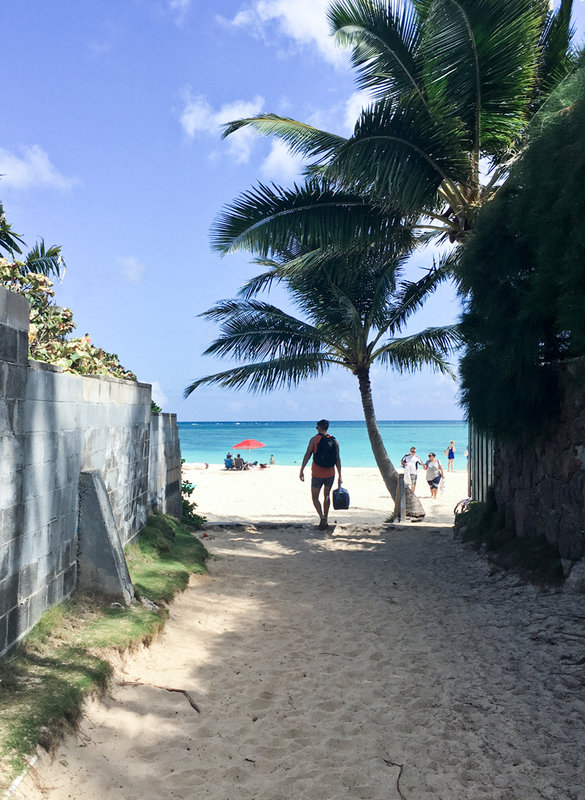 But, leave it to my mom (who, to be fair, is a travel agent), plus a few recommendations from Instagram, and I feel like I can safely say I wouldn't have changed a thing about the past 3 days I just spent in Oahu. As a start, below you'll find a little rundown of a few favorite beaches we hit during my brief, but jam-packed stay. Because let's be honest, when it comes to the islands, sun, sand & surf are at least 75% of the draw. Hope you enjoy and bookmark this page in time for any future trips you might have planned! 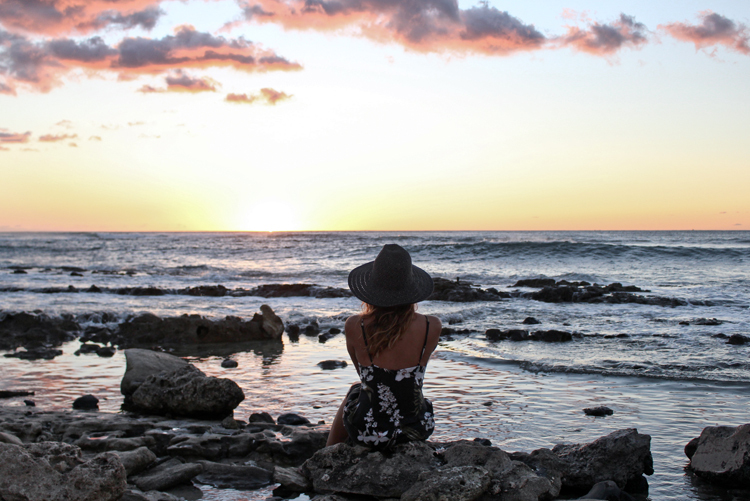 And, til then, come follow the rest of my Hawaiian adventures here! No, the photos above aren't of heaven. They're of Lanikai beach, which is a little piece of the awesome pie that is Kailua, a super cute seaside community on the Northeast ('Windward') coast of Oahu. Located right near our rental home, the beaches there were some of the easiest for us to access. And even if you're not staying on this part of the island, I highly recommend dropping in for a day. It's only about a 30-min drive from Honolulu and waaaaaay more low-key. Not to mention the water is crystal-clear and there's an OG steakhouse with grub and ample drinks waiting across the street for when you're ready. Above: 6 Shore Road bikini, Forever 21 hat (similar here). Shot by Isaac Lacey. Above: L* Space Harley top and lily bottom, Somedays Lovin Sweet Light romper, Vince Camuto braided hat. Shot by Isaac Lacey. I would have never explored the West coast of the island if Isaac didn't have a college friend who happened to be living there for the past 10 or so years & invited us to join him for some snorkeling. We drove out late one afternoon and met him at Makua beach, which seemed like a hike looking at a map, but was really only about 75 mins or so from Kailua. The main draw (for me) was his promise that we would see sea turtles & dolphins, however the surf was so high again we didn't have a chance to snorkel at all. No matter in the end! The beach was full of shallow tide pools perfect for lounging and a pod of dolphins wound up passing by before sunset. What a dream. We then drove down about 20-mins South to Ulehawa beach to catch the gorgeous sunset above, which I swear was 100x better in person. This would be my first and last Oahu sunset, since we were staying on the Eastern side the whole time, but it completely lived up to all expectations.